Firstly, if you haven't seen Hibbs' post from earlier today, you should go and read it right now. I'll wait. It's relevant to your interests, if your interests are "buying comics" and "things that'll be happening to this site." Back (or didn't click on the link to begin with)? Okay, now I'll do my bit. Savage Criticians*! 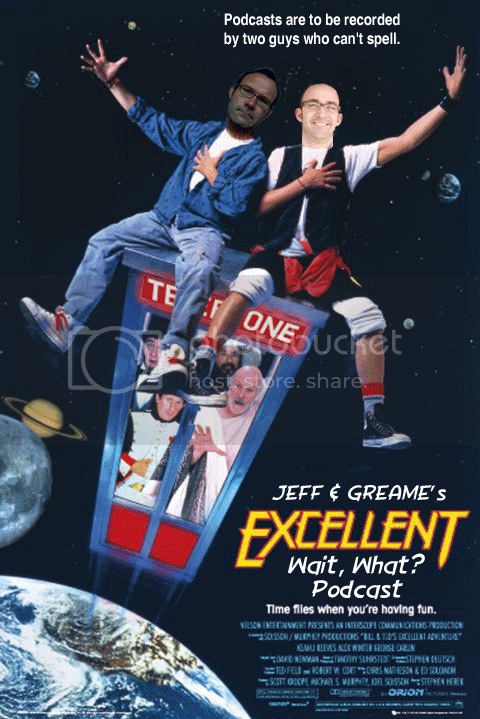 Jeff and I are doing another round of question-answerin' for next week's Wait, What?, which we'll be recording tomorrow. This gives you, oh, 20 hours or so before we start recording to leave questions/comments/declarations of undying love in the comments of this post that we'll either get around to tomorrow or, as we all saw last time we did this, the following week. We promise to try our best to answer as many as possible, but you know us; we tend to go off-topic and on-tangent more often than we mean to. Anyway, go and leave us questions (Or, if you do the Twitter thing, send them to @graemem and @Lazybastid there). Thankyouverymuch in advance. * - I may have made that word up.